Celebrating the end of 2015 and the beginning of 2016 with kids in tow can be so special. Seeing their little eyes light up at the fireworks and watching their incredibly awesome dance moves as they rock the “early” night away can be great entertainment and beats a nightclub any day. So where should you and the family head this year? 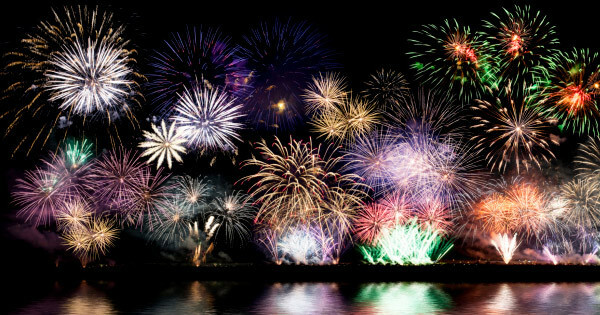 We’ve tracked down the ultimate family-friendly New Year’s Eve events in every capital city. And, plenty of them are free! Let’s start in Melbourne, shall we? The City of Melbourne puts on an”Early Eve” program at Yarra Park which begins at 6pm and ends at 10pm with a fireworks display. During the event, families can enjoy free stage entertainment, carnival games as well as outdoor film screenings all evening. The Maribyrnong City Council will put on an “Early Eve” program in Footscray Park, by the river in Melbourne’s inner west, with food trucks and carnival rides from 6.30pm. Tabcorp Park has a great family-friendly New Year’s Eve Party which includes a buffet dinner ($25), jumping castles, carnival rides, live music and fireworks. It’s time to head over to Sydney where you can expect a wide range of parties and events in every suburb. Dudley Page Reserve in Dover Heights has a great event for families with free kids’ rides, food stalls and a licensed bar. You will need to pre-purchase tickets to get into this awesome event. There is a great look-out point at Birchgrove Park where you can take in the Harbour Bridge and fireworks and let the kids run around. The event is free but it does tend to get quite crowded. Check out the Family Playground in Parramatta which includes children’s performances, music, food, rides, roaming acts and a spectacular laser, water and fireworks extravaganza. This is an alcohol-free event. Sydney Harbour National Park, Bradleys Head is another great arena to ring in the New Year as it is transformed into a playground of light with great views, roving entertainment and theatre performances. Tickets are $75 for adults and $35 for kids. If you’re in Manly, then head to North Head or if you’re near the city, then the most affordable family-friendly spot has to be Barangaroo Reserve. The City of Perth has a spectacular New Year’s Eve event in Northbridge with roving dancers, singers and musicians, leading to a spectacular midnight countdown. Or, check out Kings Park New Year’s Eve Celebrations for another relaxing family event. If you’re east of Perth or don’t mind the drive, then Mandurah’s New Year’s Eve Celebrations on Mandurah’s Eastern Foreshore is one not to miss! There are plenty of kids’ activities, live music and two fireworks shows, one at 9pm and one at midnight. The entire city of Brisbane and surrounds are set to light up this New Year’s with fireworks at Hamilton, Scarborough, South Bank, Ipswich and Redcliffe. Victoria Point has a great New Year’s Eve Carnival with live circus themed entertainment starting at 5pm. If you’re on the Gold Coast, then Surfer’s Paradise has a great fireworks’ show at 8pm for the little ones and if you’re on the Sunshine Coast, then Mooloolaba’s New Year’s Eve Celebrations start at 4pm with live music and entertainment, rides, kids’ activities, yummy food and drinks. There are quite a few great events going on in Adelaide this year including the Elder Park Fireworks which also features live music, food and drinks, starting at 6pm. The Glenelg Foreshow will literally glow with free live entertainment and a round of fireworks. Everyone is encouraged to dress in their Glo gear as there will be special UV lighting systems to really make everything Glo! Another great option is Victor Harbor’s New Year’s Eve Celebrations which include free face painting, petting zoo and children’s performances ending with fireworks at 9:45pm or midnight. If you want to think outside of the fireworks box, then why not watch the Adelaide Strikers taking on the Sydney Sixes at the Oval. Not a fan of cricket? There is also a Normanville New Year’s Eve Pageant with a parade or a summer carnival at Semaphore. If it’s fireworks you want in Canberra, then the best places to be are City Hill and Garema Place, which also includes an all ages dance party. The best place to be on New Year’s Eve in Hobart is at the Taste of Tasmania event, which is a five-day event, including a great New Year’s Eve line-up with fireworks, fine dining and plenty more. If you’re up north, then enjoy the heat at Darwin Waterfront for free family fun starting at 5:30pm. There are a number of different live entertainers including kids’ performers Animals Rock, followed by a fireworks display at 9pm. The kids will also love the face painting and roving entertainment throughout the parklands and delicious array of food stalls. What are you and the kids up to this New Year’s? Will you make it to midnight?